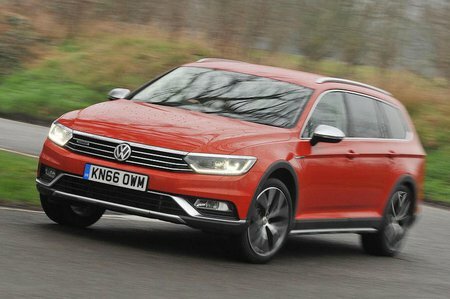 Volkswagen Passat Alltrack 2.0 TDI 190 4MOTION 5dr DSG [7 Speed] 2019 Review | What Car? Offers good performance, but the 2.0 TDI 150 feels almost as quick, and because this engine is available only on high-end trims, it makes the Passat Estate fairly expensive. It’s not really worth the extra. Also available on the jacked-up, four-wheel drive Alltrack model, albeit only as an automatic.